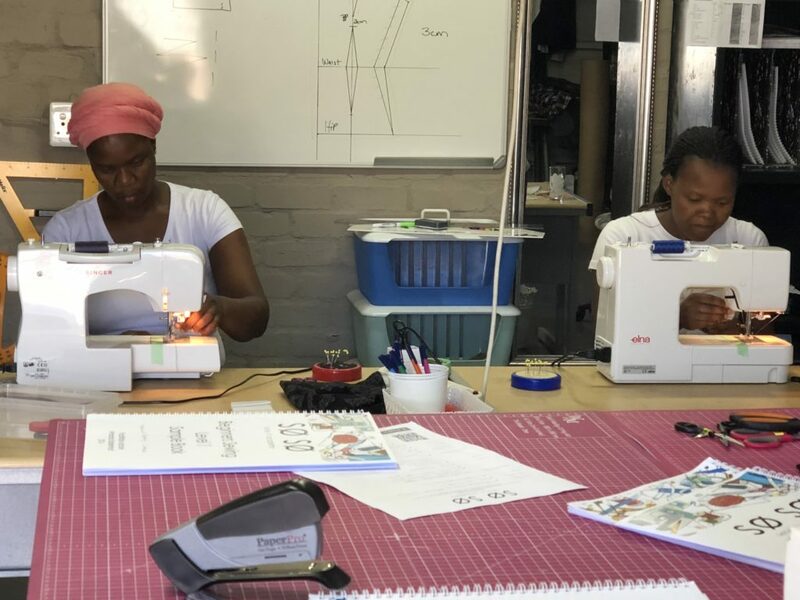 This combo course combines both the beginners sewing course level 1 and level 2. 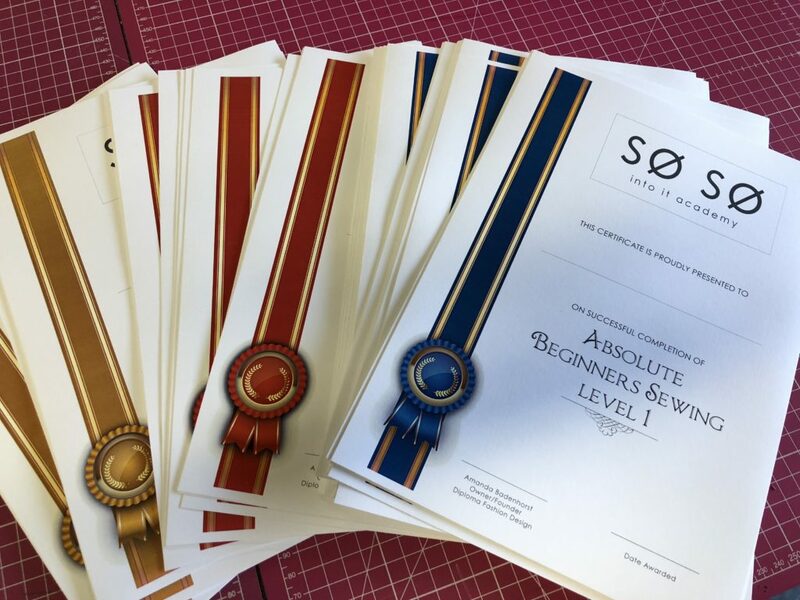 Upon completion, you will receive a SO SO Into It Academy: Comprehensive Sewing Certificate. This qualification can only be acquired by completing both Level courses. As well as how to read patterns and layout & cut fabric (Fabric Layout & Cut + Basic Pattern Instructions). 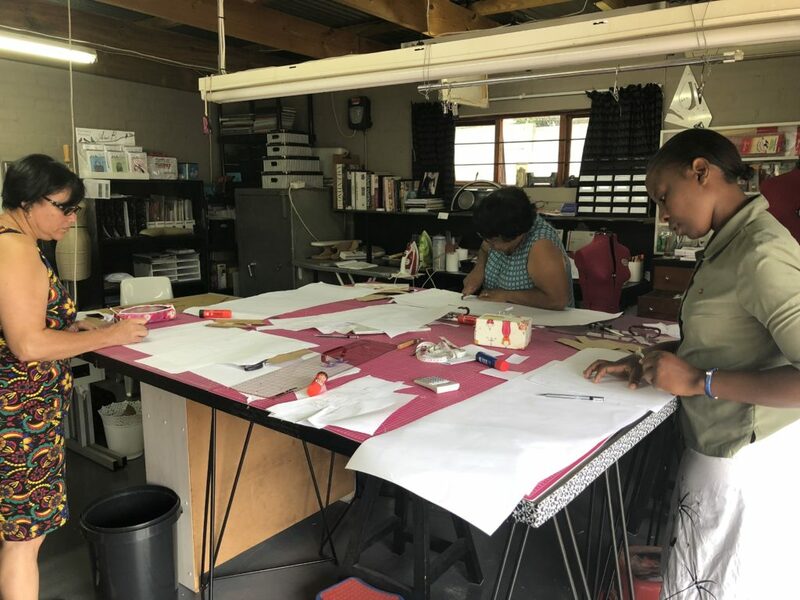 In this module you will learn how to read and use a commercial sewing pattern as well as how to choose the right size for you. Bring you own pattern and lean step by step how to layout, cut and sew your patter. 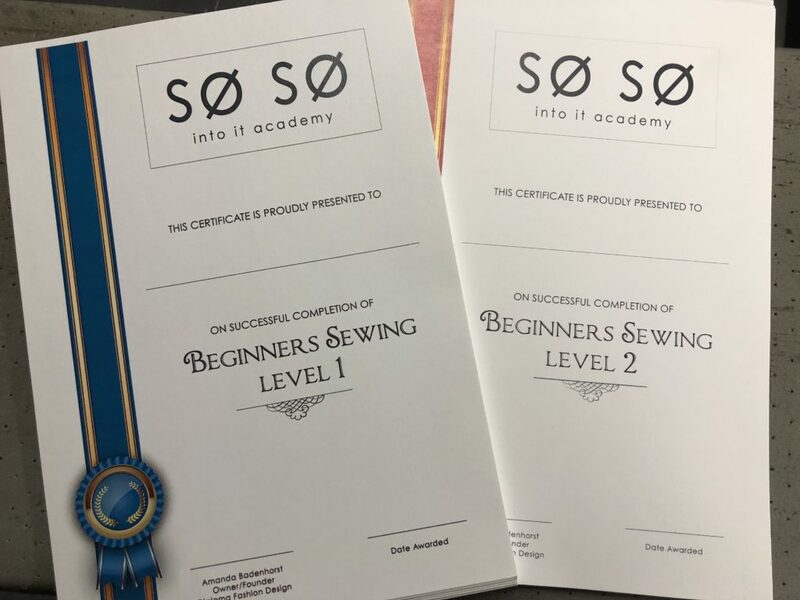 Upon completion of your course, you will receive a SO SO Into It Academy: Comprehensive Sewing Certificate that you can show off! 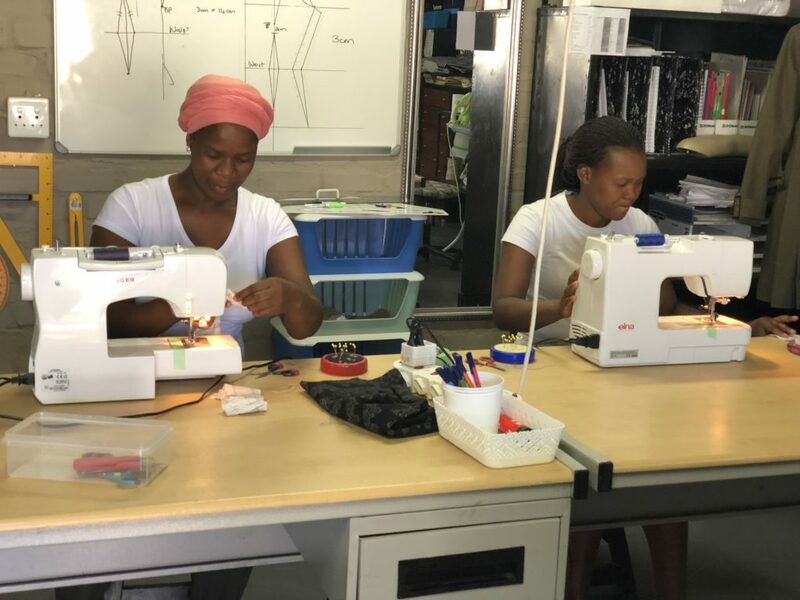 It is proof that you have been trained on the specific subject and that you can now confidently Sew, make patterns and use a sewing machine. 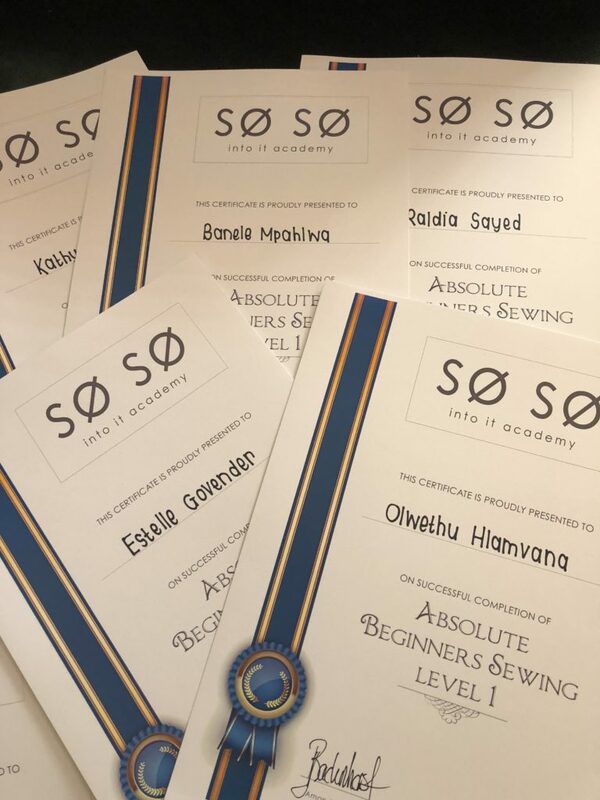 So So Into It Academy currently resides in its first Studio in Brackenfell in the Norther Suburbs of Cape Town. The studio is completely kitted out with all the equipment that you will need to help you throughout your course although you can still bring your own machine if you wish to do so. 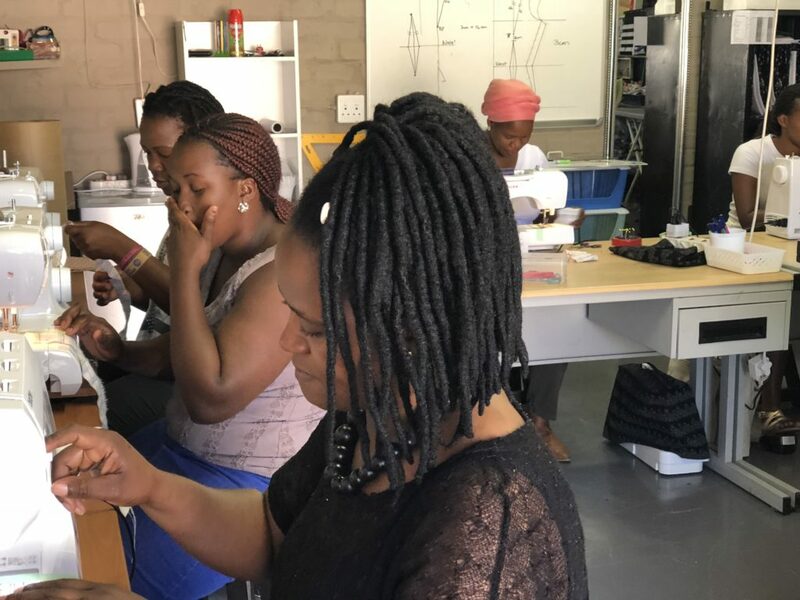 It is a fun learning environment were everyone is trying to pursue their goals in mastering the fundamentals of sewing. 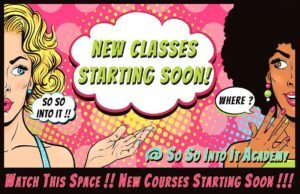 Classes are available throughout the weekdays and on Saturday mornings. Whenever you are ready! We have classes almost everyday of the week. Simply click on the button below, fill in the form and then we will call you back!